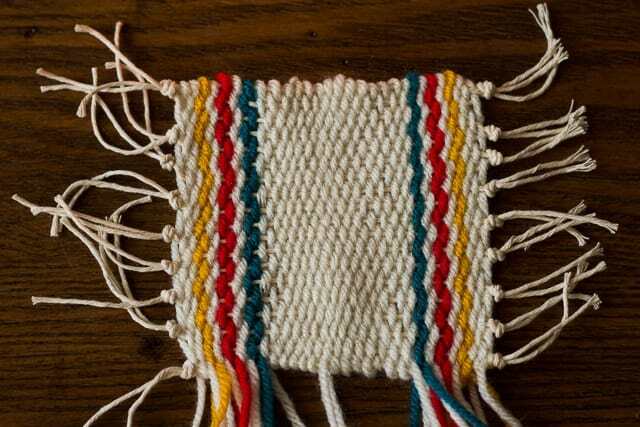 I have been drawn to the art of weaving for a while now, especially after I fell in love with Maryanne Moodie’s weavings on her Instagram. 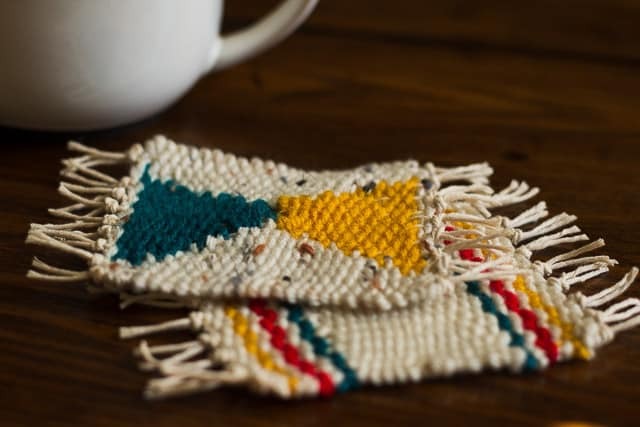 The colors she uses and the designs and textures she creates are breathtaking. After gawking at her designs, I decided to try my hand at making a set of coasters. I’m so happy with how they turned out! 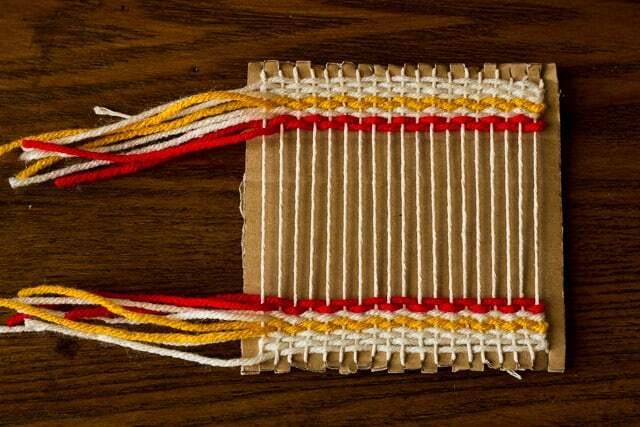 You will need just a few materials and a piece of cardboard for your loom. Ready to get started? I spent a good evening making a handful of new coasters while watching the new episodes of Call the Midwife. Have you seen it yet? 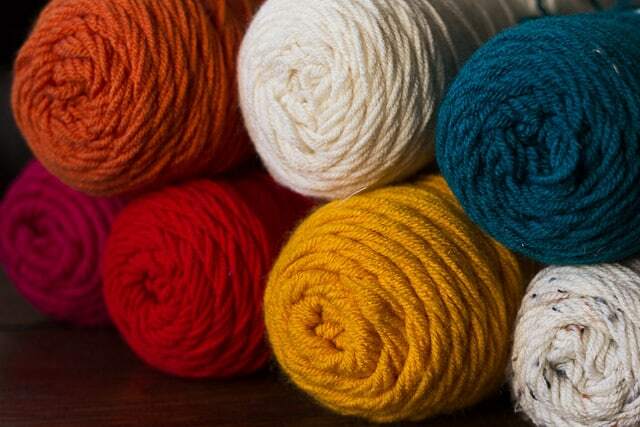 Start by picking out your colors of yarn. 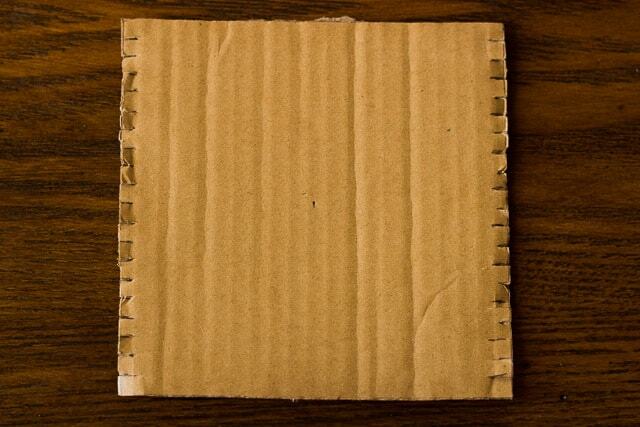 Cut a out a 5×5 inch piece of cardboard. Cut slits at every 1/4 inch. 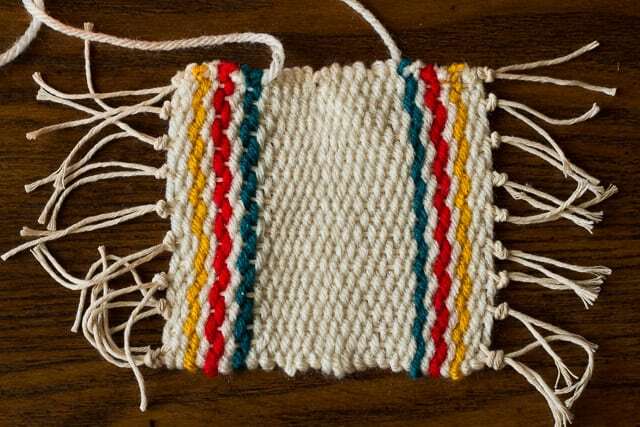 If you are doing this project with younger kids or prefer a wider weave, I suggest making less slits by making one every 1/2 inch. 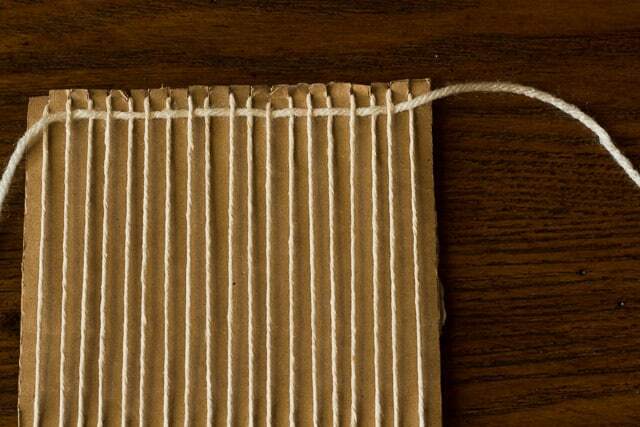 Wrap your twine around the cardboard, fitting it into each slit. Leave about a 3 inch tail at each end. 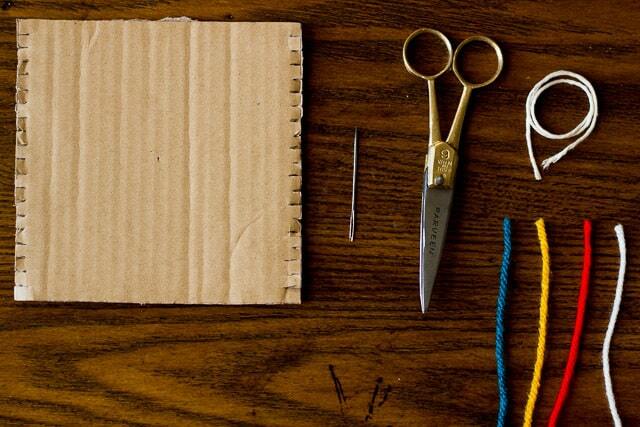 Thread your first piece of yarn through going over and under each piece of twine. 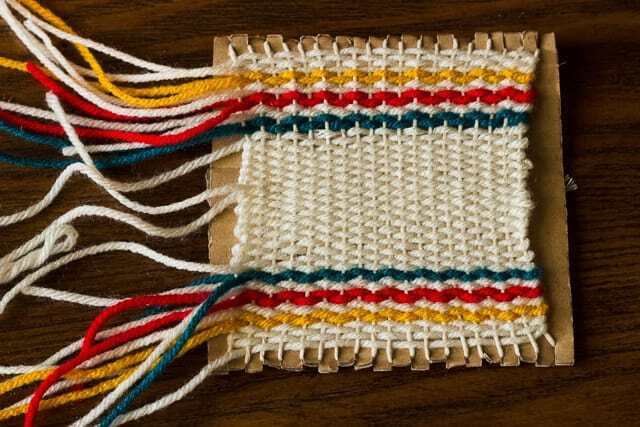 When you are weaving you don’t want to pull it too tight or it will start to make an hourglass shape. 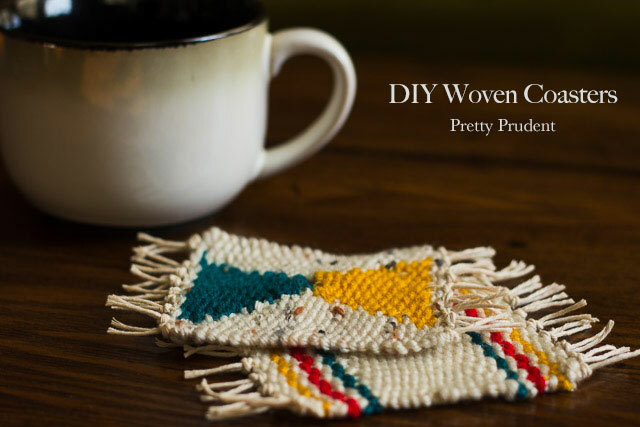 Continue with each new piece of thread to create your design. 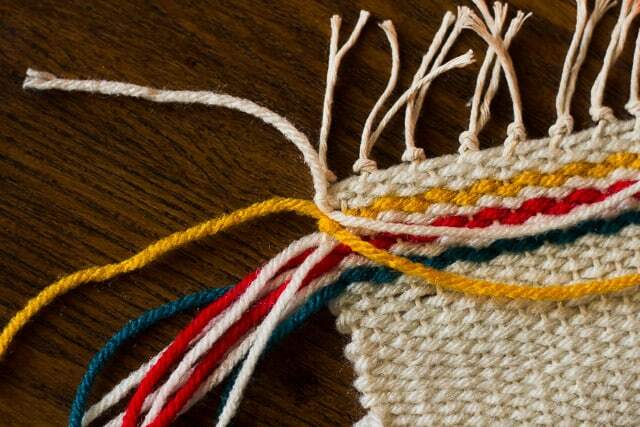 Leave about a 3 to 4 inch tail at the beginning and end of each piece of color yarn you choose. You should end with something like this. 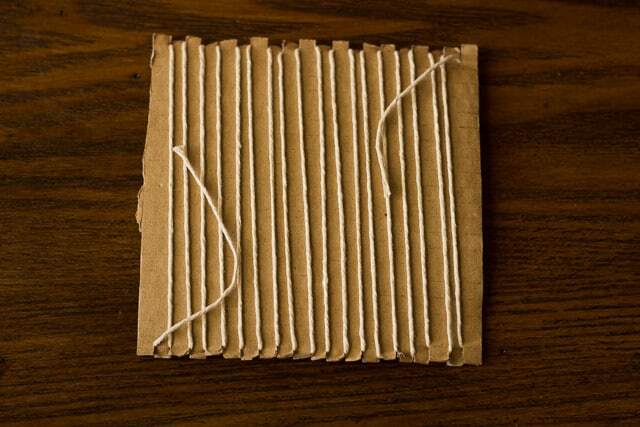 Flip the cardboard over and cut the twine down the middle. Knot a couple pieces of twine together all the way down to secure the yarn in place. 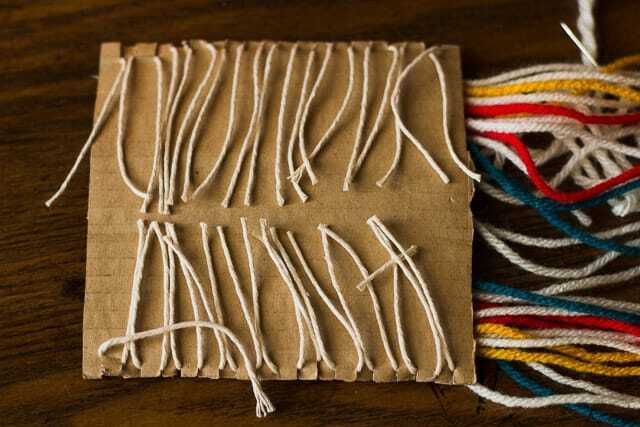 I chose to knot three pieces of twine together first and then continued with two pieces for each knot. 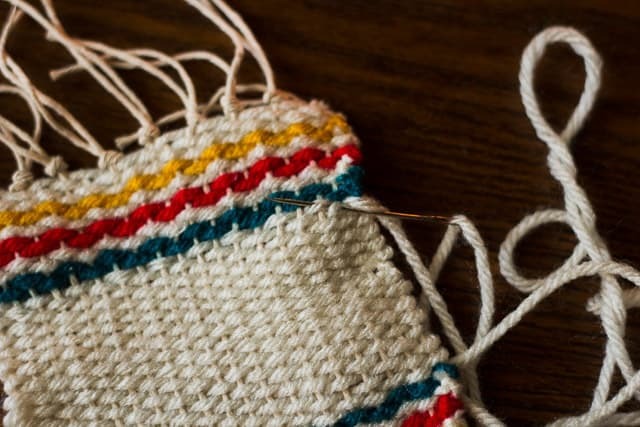 There are two ways to secure the yarn in place at the ends. Below is an example of how I took two pieces of yarn together and just did a simple double knot and trimmed the end. 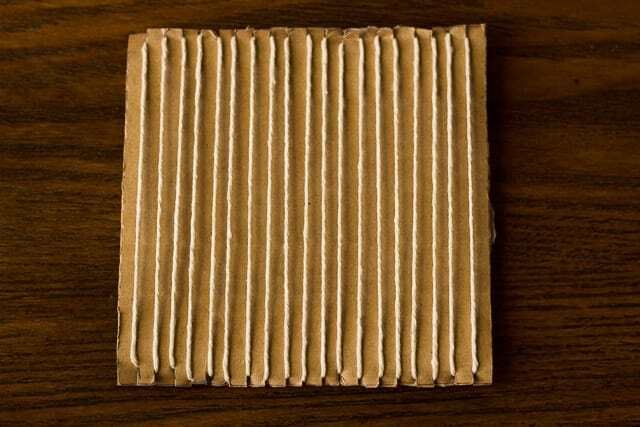 This is how it looks once you’re done with the knots. I took the other two pieces of yarn and secured them with the second way. You can do this by taking the tail end and threading it through the needle. 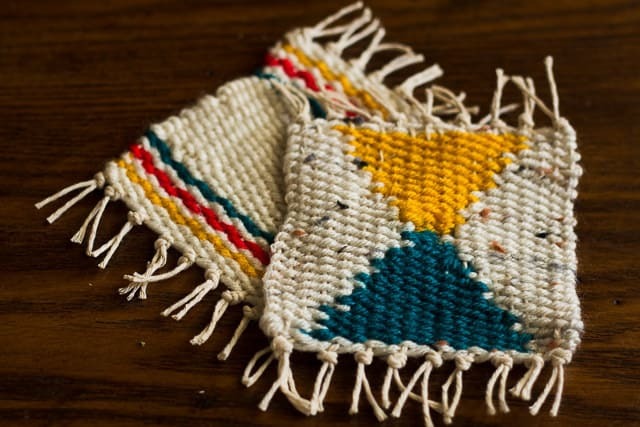 Then, thread it through the back of a piece of woven yarn. This is super simple to do and doesn’t show through. Trim the end. 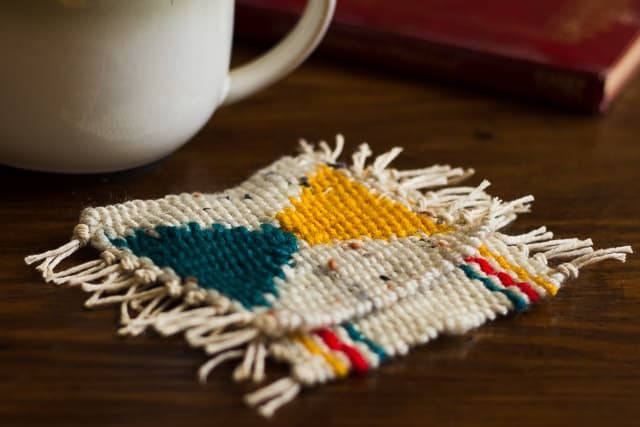 When I did the coaster with the triangles I started first with creating the triangles and then filled in the blank space with the off-white yarn. I marked a center point of the coaster and worked out from there. 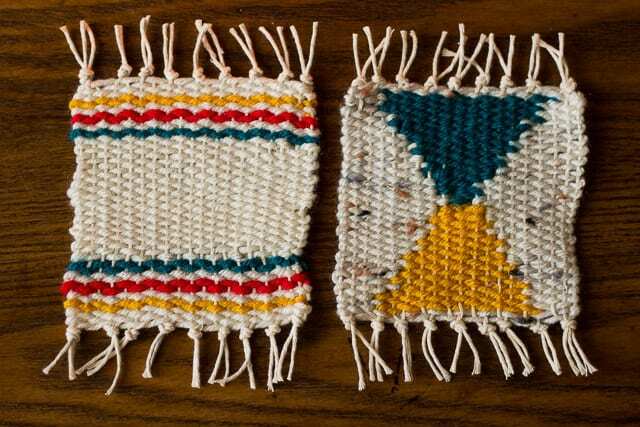 I did my rows in doubles, so the first two rows were woven once, then three times, then five, and so on. 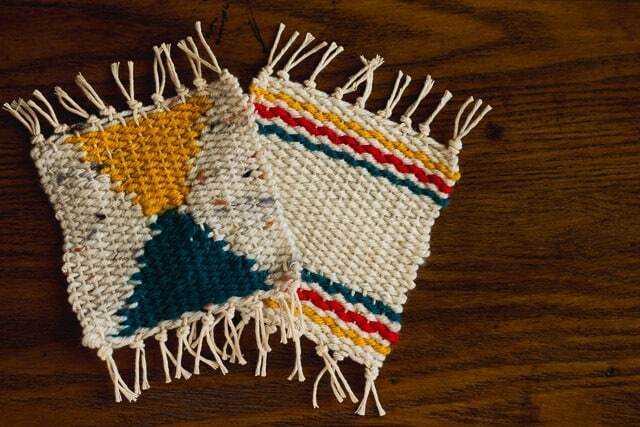 It takes a second to figure out, but once you get the hang of it you are kind of addicted to weaving triangles.